We love them any time of year because the combination of freshly roasted nuts and succulent dried fruits combined with a smooth dark 62% chocolate is hard to beat. Fruity, nutty, crunchy, and very moreish. 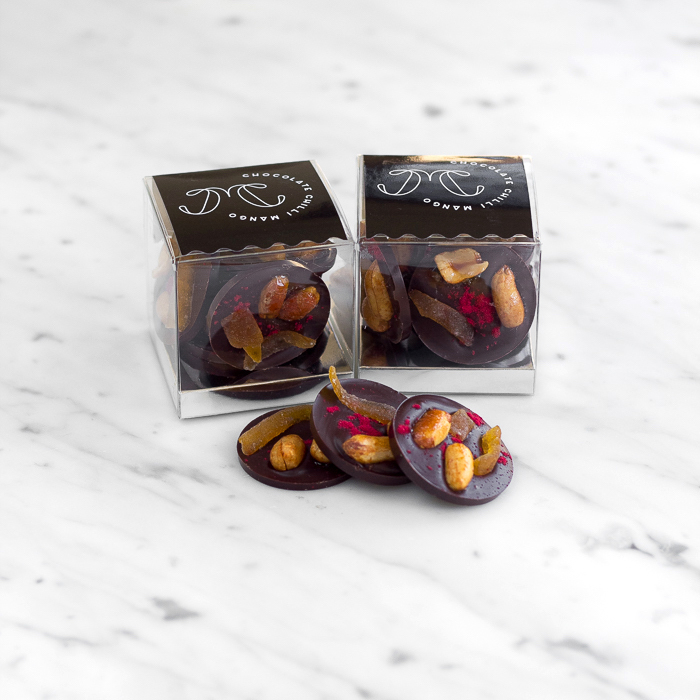 FLAVOURS: Limited edition house candied Victorian yuzu, using traditional methods, yuzu candied peanuts, raspberry, and Guanaja 70% couverture. 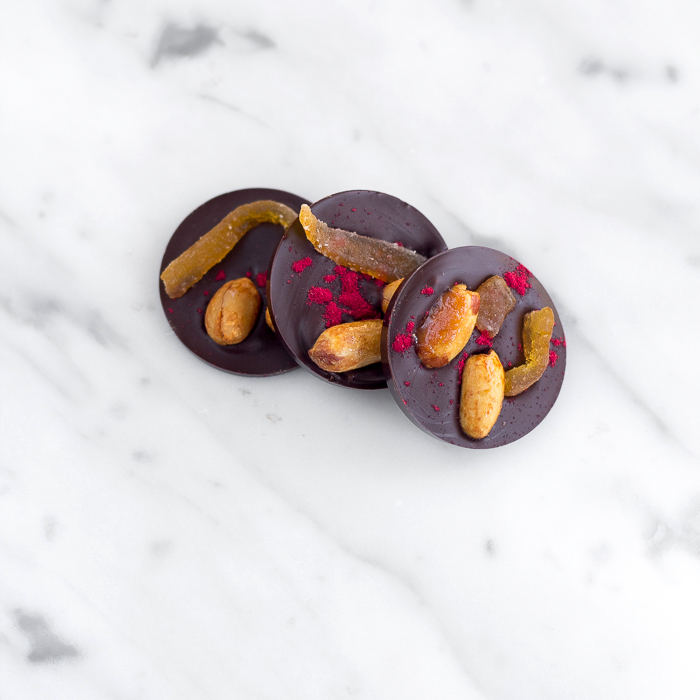 Ingredients: sugar, cocoa beans, cocoa butter, peanuts, yuzu peel, invert sugar, freeze dried raspberries, natural vanilla extract, soy lecithin (emulsifier). Allergy Information: Contains peanuts. May contain traces of other nuts, egg and milk proteins.